Printed or coloured splashbacks are ideal in situations where you wish to enhance the individuality of your property in London. Glass splashbacks allow you to add your own personal touch in your place. They are perfect for any kitchen and bathroom and give a sleek, modern, eye-catching look and practical use. Our team can help you to achieve what appearance you want. For the glass splashbacks in your kitchen or bathroom, you can choose your own image or we will offer you different graphic designs. They may have contemporary, art or traditional style. They add a bold, elegant, classic, antique, fantastic, glam or modern look. If you look for some inspiration for your splashbacks just make sure it is exactly what you want. Supply us with your own design or we will help you to find it regarding your decorative ambitions. Shapes, sizes, colours are made to your exact specifications. Choose the different option to ensure the greatest effect on your project. We are always available to help you to choose the right design and colour options. We offer a selection of splashbacks with decorations in a variety of sizes, styles and finishes. However, they are manufactured by specialised companies that will give their own warranty for the splashbacks. 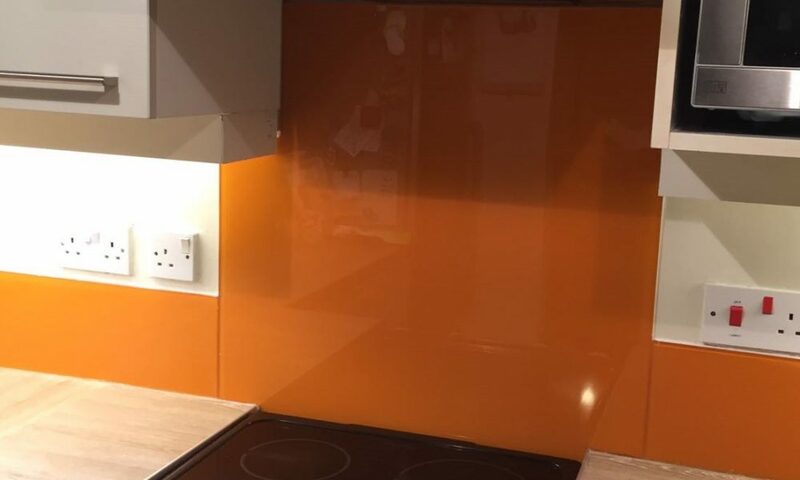 If you require a larger size we are able to supply a splashback in two or more pieces. We offer a measure and fit service if the glass splashbacks are with more pieces and complicated shapes. We can install the exactly according to your needs. Contact us and give your approximate sizes and number of cut-outs and we will send you a free no obligation quotation. We can print – digitally printing and spraying directly onto the glass – almost any colour and image.